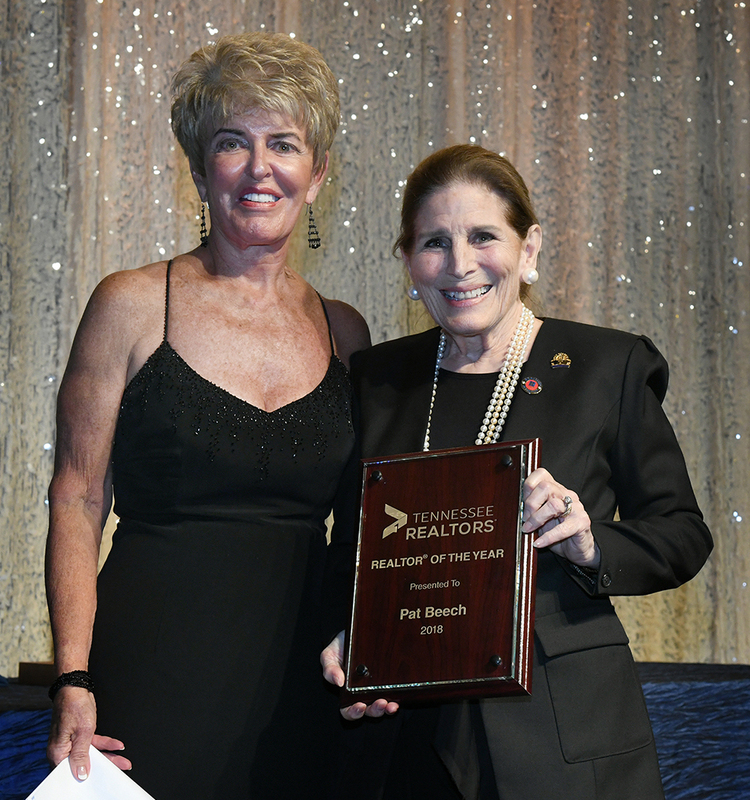 Pat Beech: 2018 REALTOR® of the Year! Tennessee REALTORS® honored longtime member and volunteer leader Pat Beech of Memphis (Arlena Enos, Realtors) as its 2018 REALTOR® of the Year at the state association’s annual convention in Knoxville on Sept. 14. — She has held MAAR leadership roles including President, Director and Education Foundation president. She is a life member and Past President of the Multi-Million Dollar Club. Local honors include REALTOR® of the Year and the Presidential Award. — Beech has served as state President, President-Elect, Secretary-Treasurer, NAR Director, chair of nine committees (including RPAC Trustees and TREEF Trustees), and more. — She is a REALTORS® Political Action Committee (RPAC) investor for 30-plus years and was inducted into the national RPAC Hall of Fame last May. — She is deeply involved in political advocacy, civic and community leadership for organizations as diverse as theatre, scouting, and education. To learn more about Tennessee REALTORS®, please visit www.tnrealtors.com.